It’s easy to see where Odd Realm gets much of its influence. Unashamedly, it can be described as Rimworld set in a different time frame. While still in early access and borrowing heavily from the predecessors it unapologetically admires, Odd Realm has hoisted the sails and started to become a tidy game with a personality of its own. Admittedly, the addiction may not be instant. The first time playing can be disorientating — especially when first encountering the overworld screen — but the tutorial is pretty potent without the need to hold one’s hand through the experience. Adjusting to the mouse controls can be particularly puzzling, particularly when the world doesn’t move with it, meaning the only way to oversee a new area is to drag the map. The world is also made up of layers which can be viewed by scrolling the wheel on your mouse, and though this was also confounding at first, it soon became a clever idea from the developers that works reasonably well. Much like Rimworld, there’s a necessity to assign rooms, including bedrooms, kitchens, farms, and a blacksmith. This can easily be overlooked (and was my original mistake), but after watching my settlers starve to death because the campfire wasn’t designated as a campfire, I soon adapted to playing the game how the it was intended. The experience can feel structured in that respect, and ensures that the player starts every game with the first goal in mind: build a campfire and find food. It’s a survival game in the truest form. Once in sync with Odd Realm‘s rhythm, it can become quite a fixation. There’s a lot of building to house an ever-growing population, as well as plenty of digging to find the necessary resources to strengthen your civilization. An array of different food can be found across the map, which can then be farmed and used to create different meals to feed your people. Roaming animals can be tamed, which provide another source of sustenance. Taming animals is a particularly serious affair — at least the music would have you believe. Every time a cow or a chicken is domesticated, a soundtrack plays with the most serious of tempos so that one would think something bad is currently happening. Luckily, the only misfortune was a single egg for my troubles. It’s a lesson, if anything, as to how sound really affects a game. Crucially, sometimes there’s no soundtrack at all, which can provide quite the burst of excitement straight after you’ve convinced that chicken to stick around. 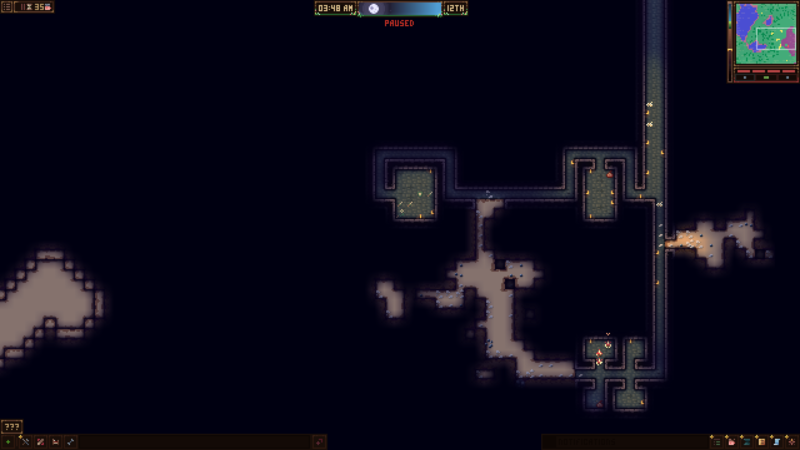 Otherwise, Odd Realm is quite laid back, with plenty to do while feeling like there’s nothing to do at all. Sometimes a game that’s insouciant is exactly what someone needs to unwind; games like Stardew Valley have perfected that experience. There are some events that arise after certain actions, and similarly to Terraria, the game wants you to dig deep to find where the ferocity lurks. Like lemmings off a cliff, it became apparent soon enough why humans don’t belong too far below the surface, even with all the weaponry produced en masse. There is a long journey ahead before Odd Realm comes close to its potential. There will be four other playable races added, but for the moment only humans are available. The interaction between the races certainly needs more work; so far, the other settlements have yet to interact with mine. The dynamic between the different civilizations was certainly a selling point, and I can only hope that this is an area that develops further. For the current price, however, there’s enough to do to warrant the expense while it’s in early access. 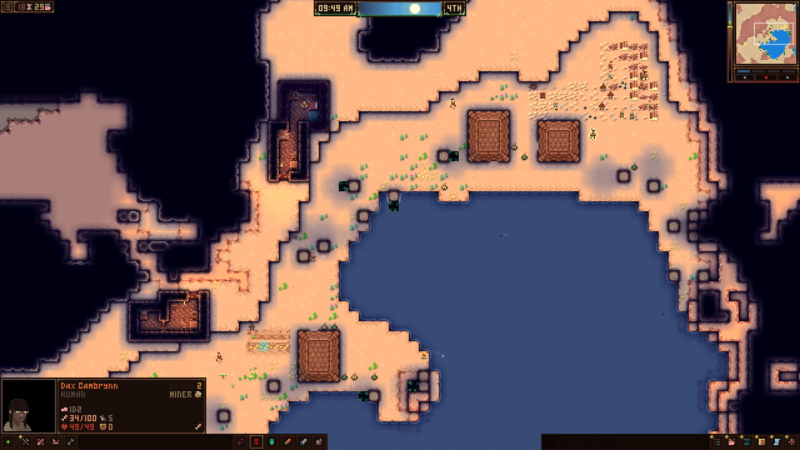 If Rimworld had you hooked or Dwarf Fortress kept you up past your bedtime, then Odd Realm would be a worthwhile investment, particularly as there won’t be too many surprises. What kind of self respecting game reviewer has never played Dwarf Fortress?